5* family friendly cottage in southwest wales – 3 night break April 13-16 2012 £360 for 4 people. Beautiful location, direct access to 3 acreas of meadows inc. a meadow trail, spring lambs, childrens swings, badminton net, swing ball games, games barn with pool table and table tennis and free adult bike loan. Oh yeah, and loads of outdoor activities in the surrounding area. 5 star holiday cottage stunning views Ceredigion south west Wales. Located near to Hay on Wye there are endless opportunities for walking, exploring, mountain biking, family kayaking on the River Wye, a gorge challenge and pony trekking. 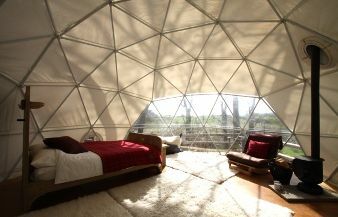 tipi holidays the domes – cosy under canvas. Kayaking holidays designed with the family in mind. Pembrokeshire coast. Get close to wildlife. Family kayaking holidays run during school holidy periods including easter, half-terms and summer. Trips suit total beginners hrough to those who have some paddling experience. 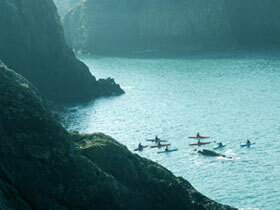 Family kayaking holidays in Wales | Family sea kayaking Pembrokeshire. Aberhyddnant is set within the Brecon Beacons National Park. Two family friendly cottages nestled within a 220 acre, organic hill farm. Eggs to collect, spring lambs to feed, farm animals, a dog to show you round, fields, streams, small wooded areas to explore, farm trial and activity book. Walking, cycling, horse riding all nearby. Aber Cottages – Welcome to Aberhyddnant Farm Cottages. Family adventure holiday in Wales. Travel like a local. Special Offer Summer Breaks – Bluestone Wales. Children’s Holidays | Treberfedd Farm.